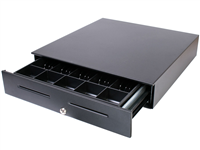 There are many cash drawers on the market, all offering similar features and functionality. These drawers offer a variety of dimensions and till orientations, so you can be sure you get the one that fits your installation and will hold the bills and coins you accept. Top Cash Drawer of 2018! The MMF Valu Line Cash Drawer is one of the most proven and reliable drawers on the market. Created by the leader in Cash Drawers MMF, the Val-u line is your go to drawer when you simply need a drawer that is going to be tough, reliable, and won’t break your budget. Its metal finish has a smooth powder coat that comes in either cool white or black. It’s available in three popular sizes with the two larger sizes accommodating 5 bills and 8 different coins. Additional tills, under counter mounting brackets, and till covers are available for all sizes. The APG Vasario's combination of durability and affordability makes it an ideal choice for bars, medium volume retailers, or anyone needing cash storage. Available in black or beige with a variety of till styles, the Vasario can meet the needs of retailers worldwide. The metal design and durable rollers in the Vasario ensure long term success in most normal day-to-day environments. Featuring some of the best security and durability on the market, the MMF Advantage is a fantastic option for high-stakes retail and hospitality environments. The drawer itself offers multiple locking schemes, including one where only a manager can manually open the drawer. High durability components and a locking media slot make the MMF Advantage a class leader. The MMF Advantage Manual offers high security and tremendous durability, great for businesses that need an safe, yet easy-opening drawer. The LockIt cash drop compartment puts a lock on top of one of the media slots, ensuring items such as large bills stay safe all day long. With the Advantage Manual's durable design, you can expect this drawer to last you many years. 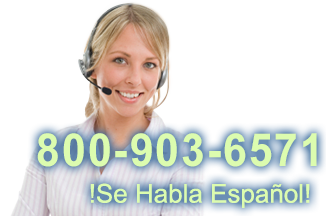 If you have questions about the performance of our cash drawers or whether a particular till is right for you, call us at 800.903.6571.